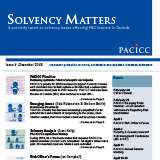 An update on PACICC’s priority issues, upcoming risk officer’s events, an article by Janis Sarra, and more. March 29, 2019. 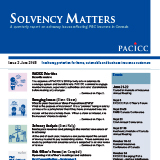 An update on PACICC’s priority issues, upcoming risk officer’s events, an article by Gale Rubenstein and Graham Smith, and more. September 20, 2018. 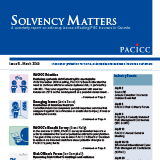 An update on PACICC’s priority issues, upcoming risk officer’s events, an article by Kathy Bardswick, and more. September 20, 2018. An update on PACICC’s priority issues, upcoming risk officer’s events, an article by Glenn Gibson, and more. June 20, 2018. An update on PACICC’s priority issues, upcoming risk officer’s events, an article by Brandon Blant, and more. March 30, 2018.